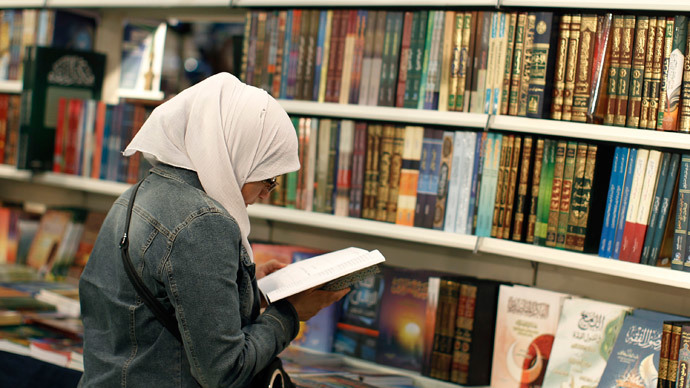 France is witnessing a surge in people buying books on Islam. Interest in the religion has seen three times as many volumes sold in the first quarter of 2015 than during the same period last year, according to the French National Union of Bookshops. The public has been trying to make up their minds about Islam following the January terrorist attacks at the satirical Charlie Hebdo magazine and a Jewish supermarket, which left 17 people dead. "The French are asking more and more questions, and they feel less satisfied than ever by the answers they're getting from the media," Fabrice Gerschel, director of Philosophie magazine, told AFP. Philosophie recently published a supplement on the Koran, which has attracted significant interest around the country. The terrorist attacks haven’t been the only catalyst for the increasing interest in Islam. The emergence of the so-called Islamic State and the fact that France has a Muslim population of around five million are believed to be contributing factors. In 2014, twice as many books were published about Islam compared to Christianity, according to the Hebdo Livres publishing weekly. Mansour Mansour, who runs the Al Bouraq publishing house, says he has seen similar rises, with sales up by 30 percent on books about the Islamic faith. However, he is not too surprised about the increase, saying it has happened before. "The same happened after the September 11 attacks in 2001," he told AFP. Now the spike is likely to last longer "because Islam will continue to pose a geo-political problem," Mansour added. READ MORE: Charlie Hebdo tragedy: Will 'clash of civilizations' become self-fulfilling prophecy? Meanwhile, Claude Brenti, of the Catholic publisher Beatitudes, said he has noticed a change in attitudes among scholars. "In certain Muslim circles there was a refusal to critically analyze the text, but now I see some thinkers are changing," he said. Given the increased interest in Islam, France’s Prime Minister Manuel Valls announced in March that the country would finance double the number of university courses about the religion in a bid to stop the influence of French imams being funded from abroad. There are currently six universities in France offering courses in Islamic studies and theology. Valls said he wants to double that number. He added the courses would be free.